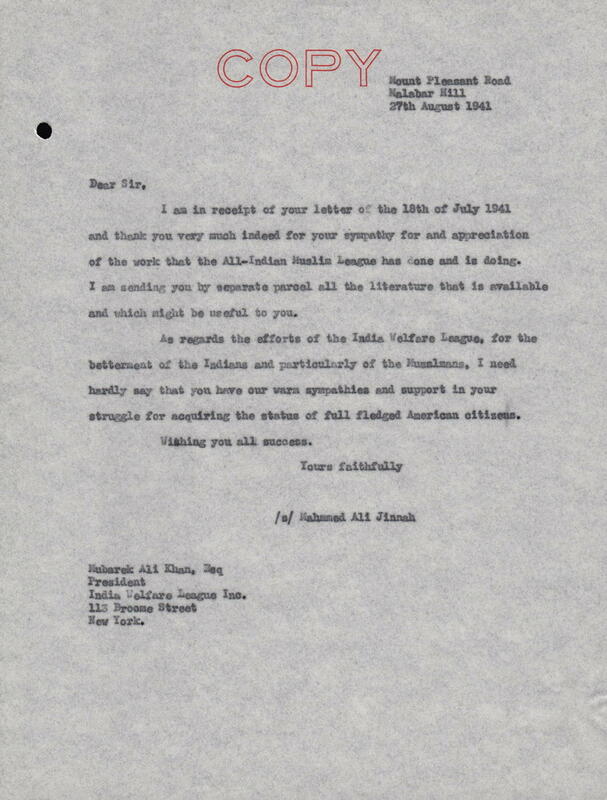 Copy of a 1941 letter from Muhammad Ali Jinnah, then president of the All-India Muslim League, to Mubarek Ali Khan, president of the India Welfare League, supporting Khan's work "for the betterment of the Indians and particularly of the Musslmans [sic]." Khan sent this copy of the letter to the Senate Committee on Immigration to underscore widespread support for S.236, a bill to permit all people from India residing in the United States to be naturalized. 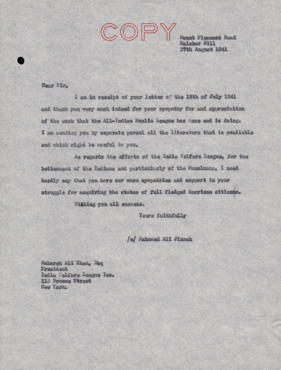 The letter became part of the committee's records regarding S.236.